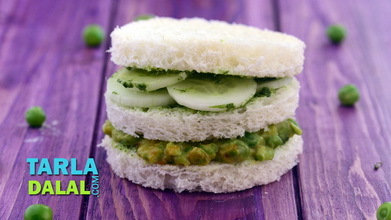 Neither a sandwich, nor a chaat, just what is this wondrous thing... is what you will wonder once you sink your teeth into this fabulous Samosa Chip Sandwich. 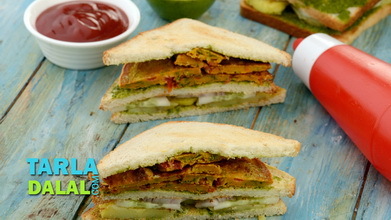 More exciting than anything you have ever tasted before, this dish sandwiches samose, peppy chutneys, crunchy veggies and crispy chips between bread slices layered with butter and garlic green chutney. 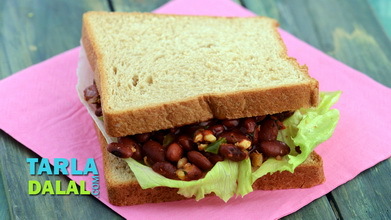 You are sure to enjoy the outburst of flavours in each mouthful of this crunchy, munchy and satiating sandwich. 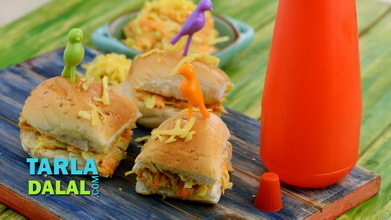 Place 2 bread slices on a clean, dry surface. 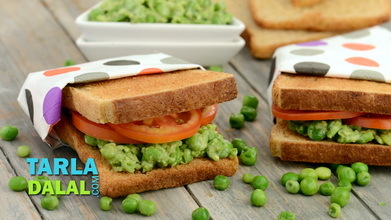 Apply 1 tsp butter and 1 tsp prepared green chutney on each bread slice. 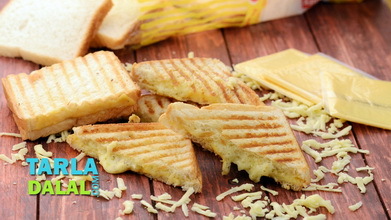 Apply 1 tbsp mayonnaise on one buttered-chutney bread slice. 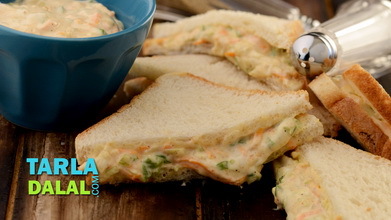 Place a samosa on the bread slice with mayonnaise and flatten it slightly with your palm. 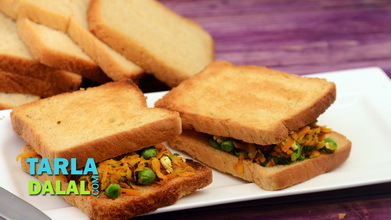 Top it with 2 onion slices, 5 capsicum strips, a cheese slice, ¼ cup of chips and sandwich it using the other bread slice, with the buttered-chutney side facing downwards. Press it lightly and cut into 4 equal pieces. 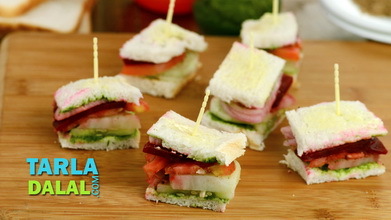 Repeat steps 1 to 6 to make one more sandwich. You can store the chutney in an air-tight container in the freezer. It will stay fresh for a week.